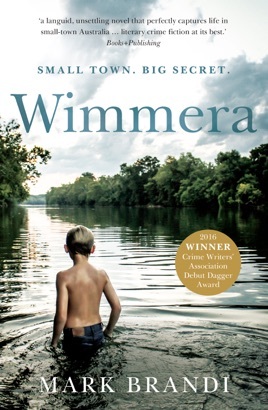 An unforgettable literary crime debut that brings the darkness in an Australian country town vividly to life, as it slowly reveals its devastating secrets. 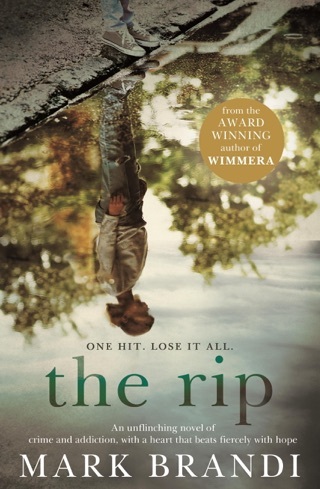 Growing up in a small country town, they spend their days playing cricket, yabbying in local dams, wanting a pair of Nike Air Maxes and not talking about how Fab's dad hits him, or how the sudden death of Ben's next-door neighbour unsettled him. Almost teenagers, they already know some things are better left unsaid. Then a newcomer arrived in the Wimmera. Fab reckoned he was a secret agent and he and Ben staked him out. Up close, the man's shoulders were wide and the veins in his arms stuck out, blue and green. His hands were enormous, red and knotty. He looked strong. Maybe even stronger than Fab's dad. Neither realised the shadow this man would cast over both their lives. Twenty years later, Fab is still stuck in town, going nowhere but hoping for somewhere better. Then a body is found in the river, and Fab can't ignore the past any more. Full of ups and downs in your emotions for the characters of this book. Powerful. Reminding you of the friendships you had as a child and the depth of that bond as you age. Well written. Straight to the point. Excellent. Mark Brandi has the reader sweaty and dusty walking the streets of the country town alongside the two main young protagonists in what should have been an endless summer of innocent childhood. As the story slowly unfolds we see unfairness and man’s cruelties raised but never underlined, and many questions are left to ponder as the writing ends. I wanted a kinder ending, but this is not a romance but a well written crime drama.